You can easily tell who the first-day vistors to the park are - they are are the ones who have stopped on the side of the road to photograph a single bison way off in the distance, undoubtedly the first that they have seen. You soon learn that you are going to see them regularly, in large numbers, and close up. If fact, they regularly cause traffic jams (the rangers call them wildlife jams) as they wander round on the roads. 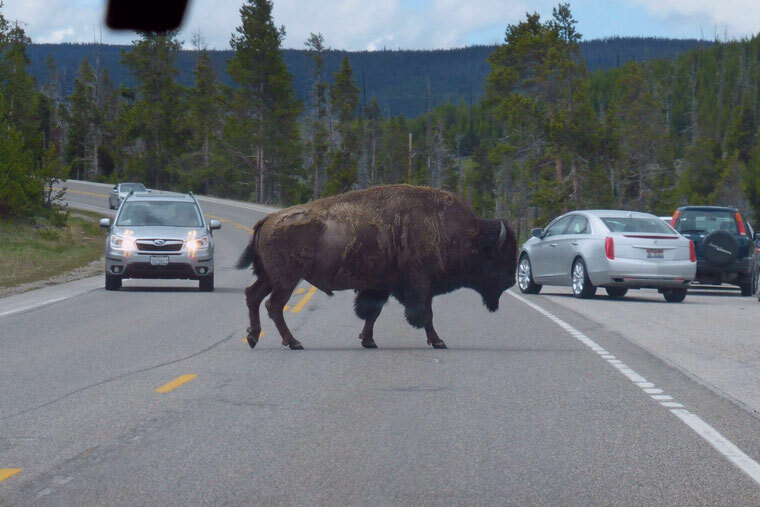 Animals have absolute right of way on the roads. 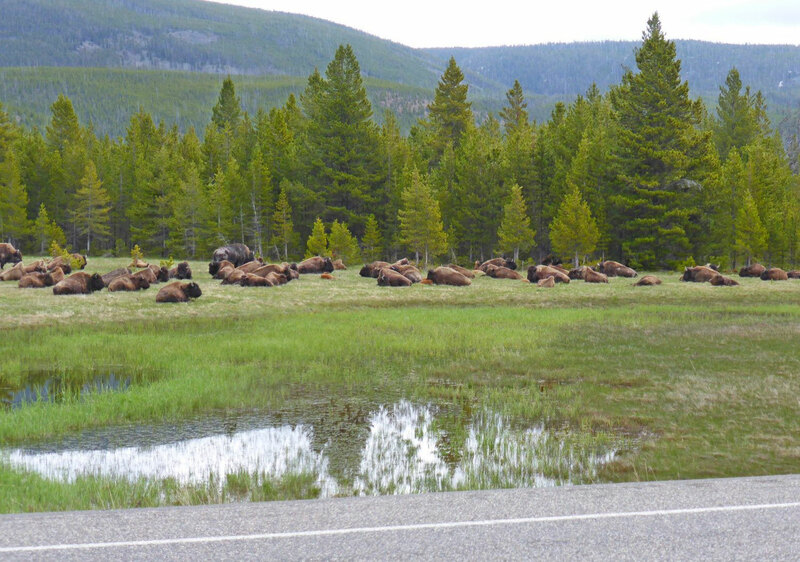 Here's a great video someone else caught of a huge herd on the road. 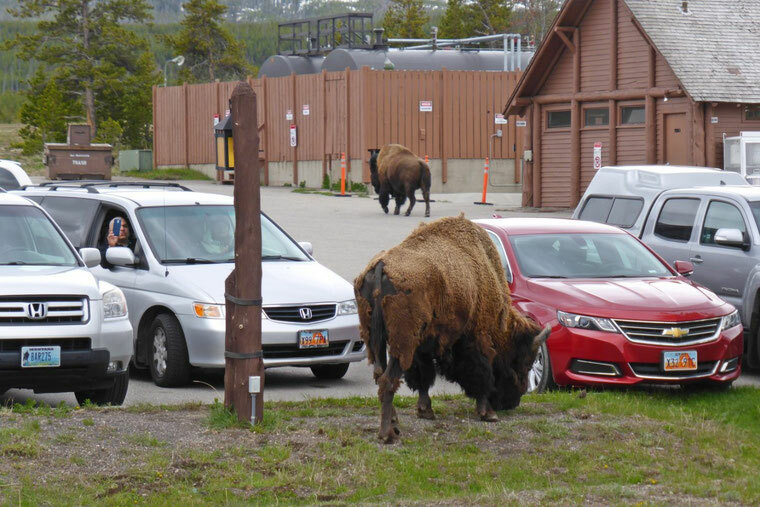 Here's some bison in the car park at the Old Faithful geyser village. The minimum distance you're allowed to be from bison and other large non-predatory animals is 23 metres; so, if your car is parked near a bison, you need to waìt. The appearance of the bison is deceptive; they look lumbering, slow-witted and docile, but they are huge and fast moving and can become aggressive. 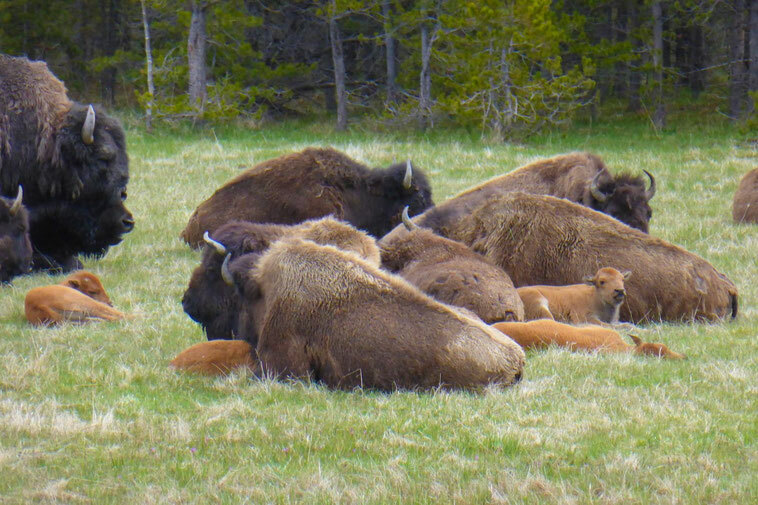 Here's a video someone caught of a bison attacking people in the same area The park service uses this video to educate visitors. 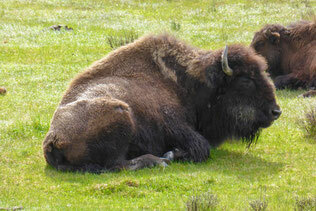 Apart from the danger of being crushed by their sheer mass, the bison have powerful upward-facing horns which they use by flicking their head upwards from a low position. You can see what I mean in this video that someone else caught. The park service uses this video to educate visitors, too. This time of the year, the herds include babies born in the spring, and there's plenty of them! 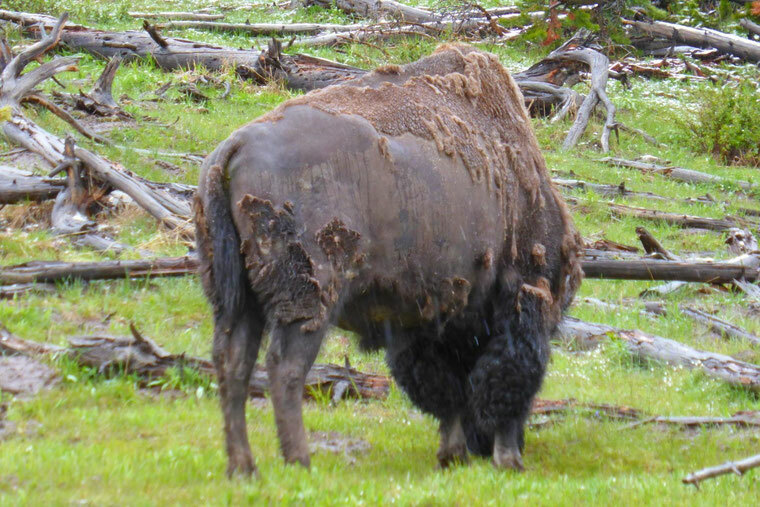 This is also the time of the year when the bison are shedding their winter coats, so they tend to look like worn-out old carpets.